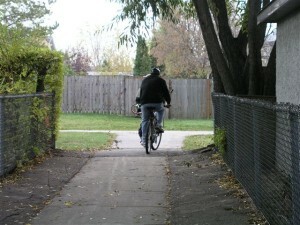 I’m working to improve walking and cycling in South St. Vital. 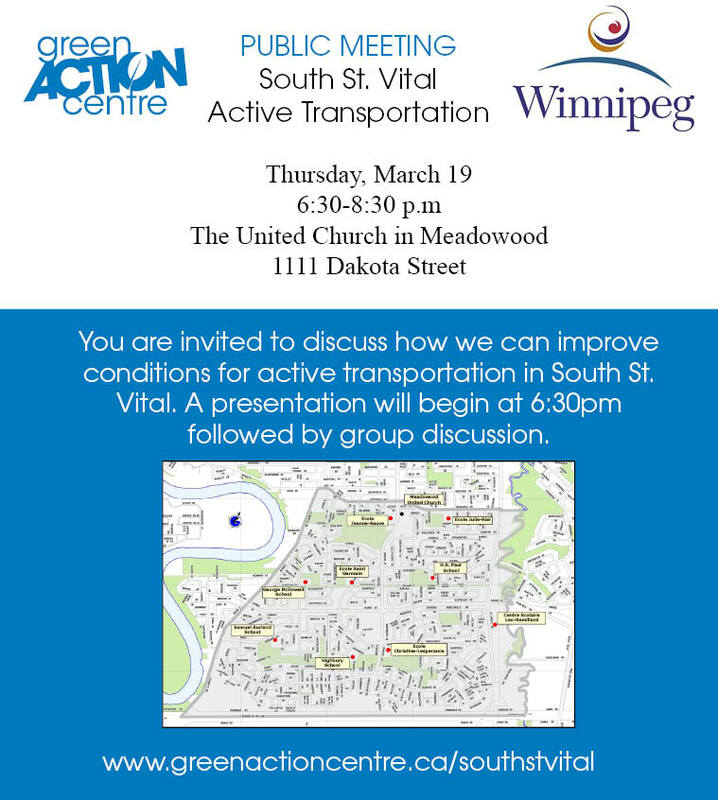 Please join us on March 19 and share YOUR ideas and thoughts on how we can improve active transportation in the South St. Vital. 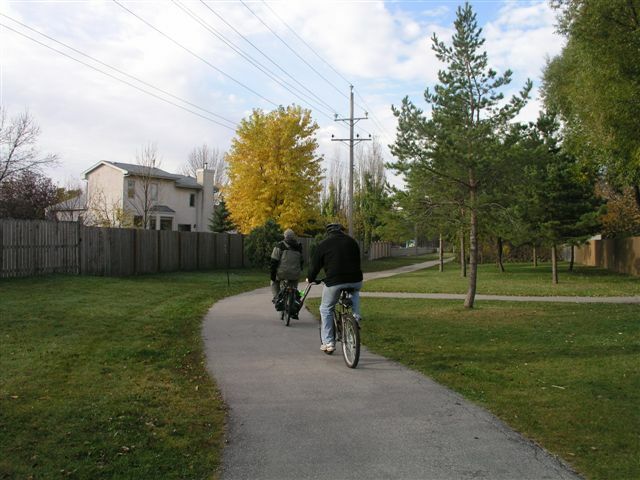 Prior to being elected, I worked with many South St. Vital community members to improve the walkways and trails in Henteleff Park and Normand Park, the South St. Vital Trail, the Dakota sidewalk/bike trail and the Seine River Greenway trails network. The South Winnipeg-St. Norbert Ward encompasses a large part of South St. Vital, and I’m thrilled to be able to continue this work with community partners in my role as City Councillor for this area. Over the past 6 months, the City of Winnipeg, University of Manitoba, Green Action Centre and schools in the community have worked together to identify key walking and cycling routes. 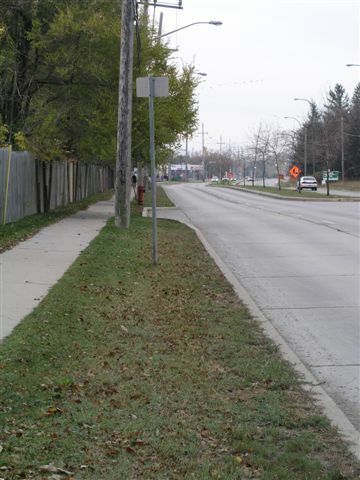 We want to build on this information and gather broader public input so that we understand where to best invest in key walking and cycling infrastructure. Please give 2 hours of your time to join us and share your ideas. 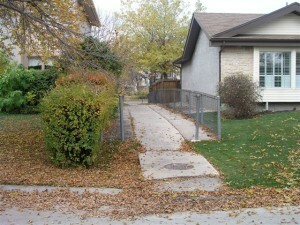 Bring your family, friends, fellow walkers, cyclists and joggers! 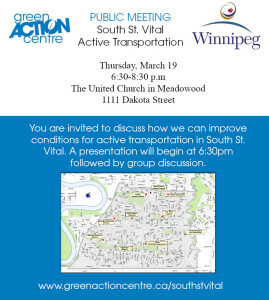 I look forward to seeing you on March 19!